For example, in the second quarter of 2013, the bond market performed very poorly. 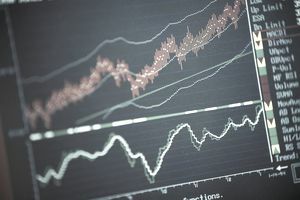 During that time, Vanguard Short-Term Bond ETF (BSV) fell -0.77 percent, but it vastly outperformed the -4.11 percent return of Vanguard Intermediate-Term Bond ETF (BIV) and the -5.94 percent return of Vanguard Intermediate-Term Bond ETF (BLV). Therefore, while short-term bonds fell, their losses were mild compared to other maturity segments. However, short-term bond funds don’t participate in bond-market upside to the same extent as long-term funds.